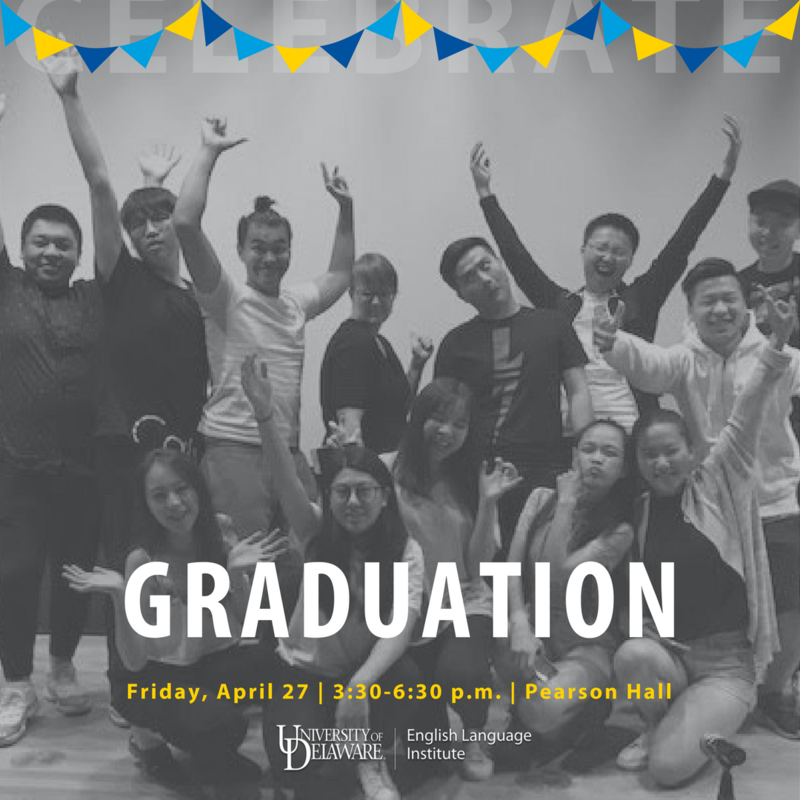 The ELI graduation ceremony for Session IV 18 will be this Friday, April 27 at 3:30 p.m. in Pearson Hall Auditorium! All ELI students, faculty, staff, friends, families, and homestays are welcome to attend. This is a time to celebrate and honor all of the students who are graduating this session. 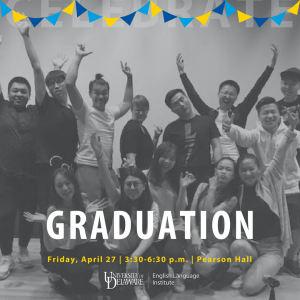 The ceremony will be full of performances, awards, speakers, and more – and it will end with memories that will last a lifetime!